Cricut Tips For New Users - Ten Things You Really Need To Know! 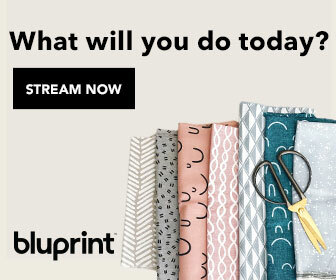 You are here: Home / Cricut Projects & Tutorials / Cricut Tips For New Users – Ten Things You Really Need To Know! Cricut Tips For New Users – Ten Things You Really Need To Know! If like me you are a fairly new Cricut user then let me share with you what I have learnt from several more experienced Die Cutting owners. 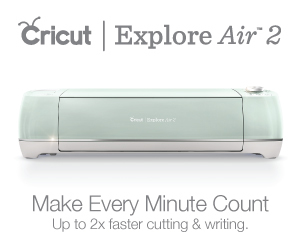 Once you get more familiar with a machine like the Cricut Explore Air 2 it is very easy to forget what you needed to know when you first started off. So I thought I would write a post about Cricut Tips For New Users – tips and hints that I have picked whilst they are still fresh in my mind. 1 Washing the mats. The first few times I tried to cut anything it was all a bit of a disaster! I followed the instructions, but the card got either chewed up by the machine or I simply couldn’t get it off the mat in one piece. I really thought I had ruined 2 expensive Cricut Green mats. I then calmed down and googled the problem and found that you can wash the mats. Hooray. I used warm water with a few drops of dish wash liquid and a piece cut off of an old towel. I figured that I would need to just gentle wipe the stuck on paper pieces off rather than scrub them and take off the sticky as well. It worked a treat. Several Google results suggested hot water and scrubbing the mats with a green scouring pad, but I think this would be too harsh. I rinsed the mats in warm water left them to drain dry and they were as good as new. I’ve done this about 6 times so far – see the next tip for how not to get yourself in the same situation! 2 Choosing the right card stock. Not having the right card stock was partly the cause of all the drama in item 1. I bought 2 packs of card stock from my local hobby shop and it looked and felt about right, but then I have only ever used a CuttleBug and scissors. For a Cricut or similar you need a heavier weight of card with a more dense construction. Use the sample that comes with the machine as your guide. I’ve now sourced sheets of good quality card stock and my Cricut and I are much happier. See also # 3 below as the card was only half the story! 3 Using the right mat at first. Not only was the card not right, but also the mat I was using didn’t help either. When you buy a new Cricut it comes with a green standard mat suitable for card etc. There are 3 types of mat; Blue for printer paper, thin cardstock, vellum, construction paper & vinyl – Green for cardstock, pattern paper, embossed cardstock, iron-on and vinyl and Purple for thick cardstock, glitter cardstock, magnet material, chipboard, poster board and fabric with stiffener. What you need to know is that all these mats are mega sticky and that was partly the cause of my woes. I strongly suggest that when using card stock, even good quality card stock you try using the blue mat. This is at your own risk of course I don’t want to be sued by anyone, but all I can say is once I tried the blue mat life became much easier and I could produce something and get it off the mat! 4 Bend the mat when taking off your card. When you have finished your cut place the mat face down on a firm surface and then taking one end curl it up and gently take the card off. If you lay the mat down with the sticky side facing upwards and then try and remove the card, the card will curl and be the devil to remove in some cases. And be aware that the mat may stick slightly to the table so best to use your craft table not your expensive dining room table to do this! 5 A lint roller is your new best friend. Those lint rollers you use to get fluff off your clothes are brilliant at removing teeny tiny pieces of paper off your mats. So buy one and keep it close to your machine. This works really well on CuttleBug dies as well especially those ones with intricate designs. 6 Don’t try and re-stick your mats. I asked a very experienced crafter and she said she would never try to spray her mats with Easy Tack or similar. It’s been know to gum up the machine and it invalidates any warranty you may have on the Cricut. If your mats have lost their sticky then simply use masking tape to anchor down your paper. And save up for some new mats! 7 Always replace the plastic cover that came with your mats. I nearly threw my cover away when I got ready to do my first cut, but DON’T. You need to use it to cover your mats or else they will stick to anything and everything and also attract any dust or fluff. So always keep your mats covered if not in use. 8 Keep your cutting blades sharp. The blades aren’t cheap so keep your blades in good condition. Have a ball of kitchen foil handy by your machine it is then easy to remember to remove your blade housing every now and then to sharpen the blade. Press the top down so the blade is exposed and push it in and out of the foil ball a few times. By magic your blade will be re-sharpened and ready to go back in your machine. 9 Store your pens with the caps on. Plus store with the caps downward in the holder on your machine so they don’t dry out. I’m told you can also use non- Cricut pens, but I haven’t tried this so can’t report on the success. 10 Enjoy your Cricut. I can relate to feeling overwhelmed when you are a new Cricut owner, several times I have wondered what I have got myself into! But now I have a dozen projects completed I am much more adventurous and don’t have to keep reading the instructions. Practice makes perfect and that a good reason to buy a good stash of quality card stock and set aside a few hours to really get to grips with your new machine – after all you and it (mines called Boy Blue – what’s your ‘s called ? They have to have a name!) are going to be good buddies for many years to come. I hope you have found these Cricut Tips For New Users helpful, let me know how you are getting on with your new Cricut.